Tom Brady is a fiery guy, sometimes a little too fiery. Brady let his emotions get the best of him Sunday in Buffalo after he missed a wide open receiver on a third down play that would have put the Patriots in the red zone on their opening drive in the first quarter. Following the play, he was seen yelling at Josh McDaniels on the sideline. After the game, Brady addressed the situation, calling it "just football." This isn't the first time Brady has gone after a coach. Everyone remembers the famous 2011 sideline spat he had with Bill O'Brien in Washington in a game the Patriots struggled to pull away from. 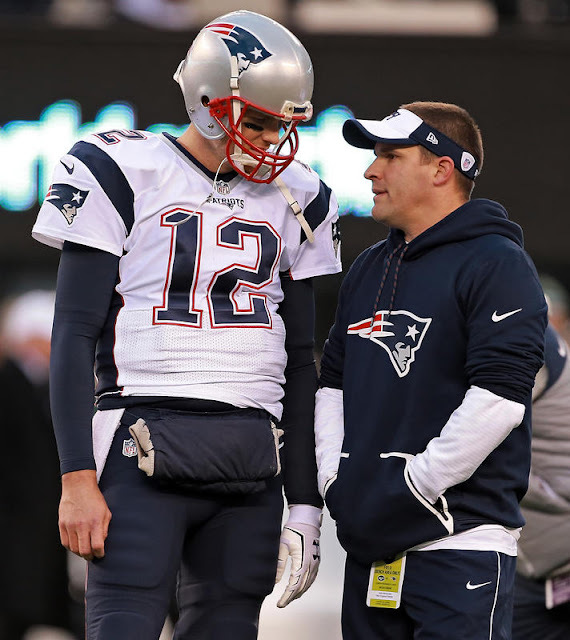 Brady later called McDaniels the "best coordinator in football," so it really was nothing personal. "I don’t know," Brady said, while also acknowledging that he thinks McDaniels is the NFL's "best" coordinator. "Josh has had some opportunities, and any time you’re a great coach like him, you’re gonna get them," Brady said. "It’s just a matter of time for Josh to get that opportunity, and he certainly deserves it. No one works harder than him or is more prepared. Josh is a phenomenal coach, and I’m lucky to be with him for all these years.